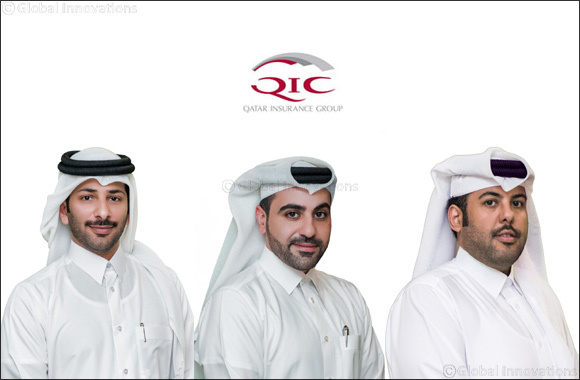 Doha, 8 January, 2019: Qatar Insurance Group recently announced the promotion of three senior executives, Mr. Fahad Al Suwaidi as Deputy CEO of QIC Qatar Operations; Mr. Ahmad M. Zebeib as Deputy CEO of QLM Life & Medical WLL, and Mr. Ahmed Al Jarboey as Senior Vice President of QIC MENA Retail and Motor Claims. The significant promotions form an integral part of Qatar Insurance’s strategic succession plan, Qatarisation and consistent efforts towards the realization of the Qatar National Vision (QNV) 2030. QIC Group has consistently attracted, motivated, developed and retained Qatari talent. Pursuant to its consistent efforts at aligning with this goal, QIC Group has not only attracted, but has also groomed young and ambitious Qatari nationals to assume leadership and senior specialist positions within the Group. Delving further on this initiative, QIC Group launched the QIC Learning Academy to empower its Qatari staff with the right mix of technical know-how, business acumen and capabilities to achieve operational excellence in their respective fields. Remaining true to its objective of being a talent-driven organization, Qatar Insurance has always given a lot of weightage to the process of local talent identification, training and retention process. In fact, it forms an integral part of major strategic decisions to ensure that the focus on talent and competencies is well woven into the success fabric of QIC Group. A postgraduate from the University of Westminster in London, Ahmad Mohamed Zebeib secured a MA diploma in Marketing. Ahmad started his career with Qatar Re and has worked in various departments within the QIC Group. Subsequently, Ahmad was promoted to the position of Vice President for the MENA region and Head of Retail in Qatar. Through his dedication and commitment, Ahmad was promoted and shifted to QLM Management team. Ahmad has assumed responsibility as the Deputy CEO of QLM Life & Medical WLL. Ahmed Al Jarboey completed his Bachelors in Business Management from the University of Derby. He started his career in the Retail department of QIC. Later he was appointed as the Manager for supervising the branches for Retail at QIC. Subsequently he assumed the position of Senior Manager for Motor Claims. Ahmed has now assumed responsibility as the Senior Vice President of QIC MENA Retail and Motor Claims.